After the success of Nexus 7, Google makes its way into the high-end tablet market with the Samsung Nexus 10, designed to take the tablet experience to a whole new level. 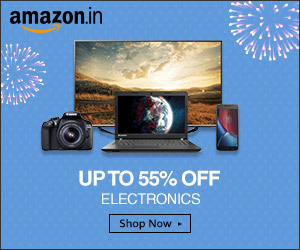 Available now in India for the price of Rs. 36,999 for the 16 GB model, it also has a 32 GB variant. Here are a couple of things that customers must keep in mind before buying the Nexus 10 Tablet. 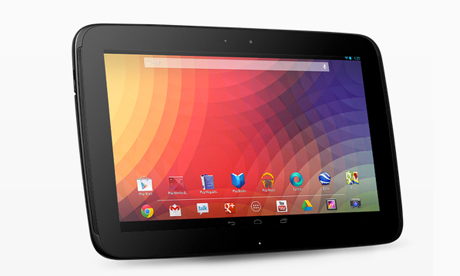 The Nexus 10 comes with the latest Android version, Jellybean (4.2) and offers a host of powerful features. Screen 10 inch, 2560×1600 px, Gorilla glass. Camera 5 MP back and 1.9 MP front camera. This 10 inch tablet is a bigger model of its cousin, the Nexus 7. With a stunning resolution of 2560 x 600 at 299 pixels per inch(ppi), the graphics are a delight to look at. It has the option of displaying 16 Million colors, and hence, images come out very sharp and crisp. The Nexus 10 does not support calling, and SIM Card – the only way to access the Internet is through WiFi. Aside from this, it comes with Bluetooth 4.0 and MicroUSB 2.0 for other connectivity options. The processor is one of the best on the market. The Tablet runs on a 1.7 Ghz Dual core Cortex A15 processor with 2 GB RAM. This makes sure the device hardly lags, or gets stuck. The Jellybean Android OS runs smoothly, giving its users a fast and easy to use experience. The variants are 16 GB and 32 GB, making sure that you can store you favorite movies and songs in it, and take them wherever you go. The only problem is that the memory is not expandable to 64GB. The Nexus 10 supports multiple accounts that can be used for different members of your family or your office team. Every account can have different homescreens, apps, wallpapers, screen savers, etc. The Nexus 10 boasts of carrying the most powerful battery on the market right now – coming in at a whopping 9000 mAh, as compared to 4300 mAh for Nexus 7. In real life terms, this makes sure that with reasonable usage, the Tablet can go on for 24 hours or close to one entire day. Aside from this, the Nexus 10 also carries 2 cameras: a 5 MP rear camera and a 2 MP front camera. The cameras provide beautiful, high quality photos, and also support Full HD Video Recording. The camera has many extra features such as Autofocus, LED flash, Geo-tagging, Face-Detection & Touch Focus.